Adobe Flashplayer Version 8 oder höher muss installiert sein, um die Audiodatei optimal abspielen zu können. A German couple’s boat is stuck in the ice in Happy Valley-Goose bay. Harald and Silvia Paul wanted to head south by boat after a road trip to the U.S. fell through. Now, they’re hunkering down for the winter. 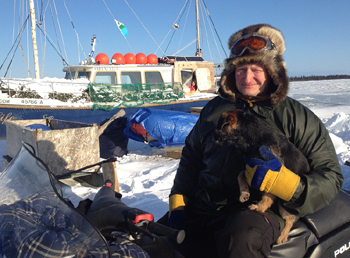 Labrador Morning’s John Gaudi visited Harald Paul and his wife to hear their story.